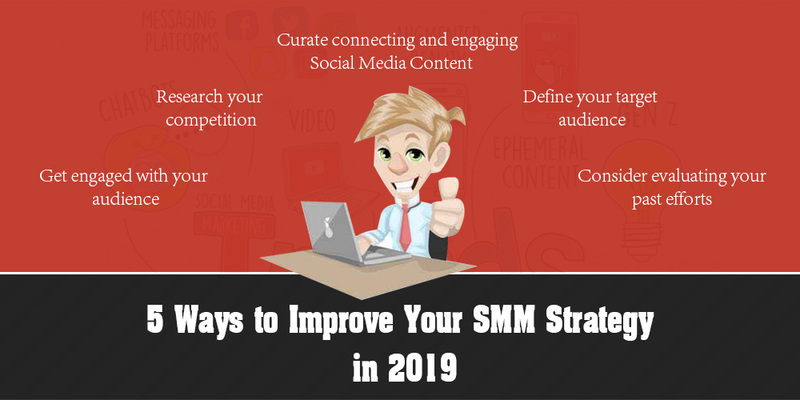 5 Ways to Improve Your SMM Strategy in 2019 - Silex Softwares Pvt. Ltd. Savvy entrepreneurs and digital marketers are always looking for emerging trends and patterns to stay ahead from the competition. When it comes to SMM techniques, people in the field realizing the fact that time is money keep themselves abreast with all changing trends to excel in this competitive space. This way, they favor their audience by offering them what they want as well as earn the faith of their fans. If you are one of those digital marketers who want to earn the faith of your audience then have a look at the listed trends that will certainly enhance your entire social media presence in 2019. Before you jump to plan future, you are suggested to have a check on the performance of all your previous and current social media marketing efforts. Doing so will certainly give you a clear idea of what goes well with your audience. Besides, consider those posting that earned the most user engagement for you and then try to reproduce their pattern. This way you can get some quick wins. Apart from that, almost all social media platforms offer analytic details like comments, shares, likes and the posts you shared, so don’t forget to get your hand on such data for better understanding of things. Another key trick that can boost your social media strategy in 2019 is to know about the audience that is attracted to your goods and services. Understanding your audience helps you find various things like who is buying your products or services, what age group is keen to buy services from you and how many returning customers your business have? For this, you are suggested to walk through the demographics data of various social media networks you are promoting your brand on. Before you take an action, it’s always smart to research your competition. To boost your SMM strategy, just analyze the facts that are making your competition thriving. Here analyzing competition does not mean that you copy the idea of your competitor instead, learn and improve from their achievements and failure. Once you get familiar with the strategies of your competition, it would be easy for you to understand that what exactly your potential customers need. As we all know that content is the king when comes to social media execution. It is really important to engage your audience. Thus, use quality and engaging content that best suits your brand identity. It is extremely important to use the perfect blend of words and share only relevant content representing your products and services. To earn the faith of your customers, it’s really important to engage with your audience, be it through postings, replying comments, or discussing topics. Whether you are a team of one or hundred, gain the trust of your customers and turn them into happy customers by answering their queries or clearing their doubts. We’ve listed 5 social media marketing strategies to help you take your brand reach to the next level. Silex Softwares encourage you to share the tips and tricks with your buddies and help them sail through.